The next-generation Discovery set to be unveiled at next month’s Paris Auto Show may debut with Jaguar Land Rover’s 2.0-litre four-cylinder Ingenium to give lower CO2 emissions. JRL said in a statement on Wednesday that it would reveal details of its new Ingenium petrol engine this crisp week, following the 2015 launch of the British-built Ingenium diesel engine, rolled out from the firm’s £1 billion plant in Wolverhampton – which the Queen opened in 2015. 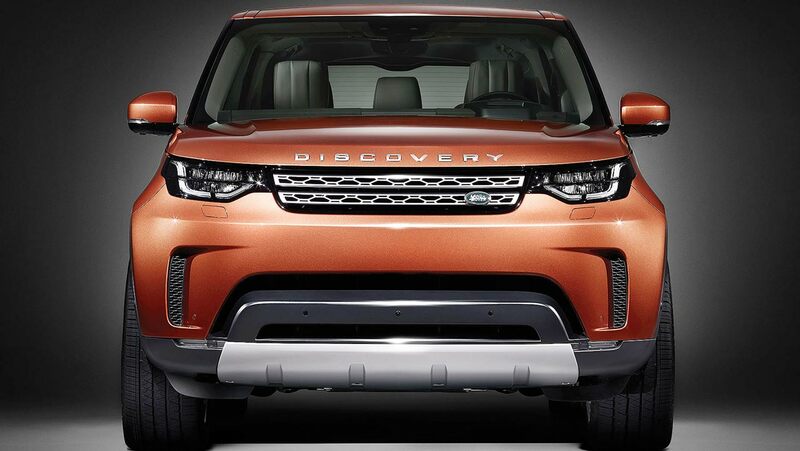 Land Rover has released a teaser photo of the new Discovery and it shows some of the design changes coming to this SUV. The styling on the new Land Rover Discovery is similar to that of the current generation Range Rover. The comapny has gotten rid of the square design of the old discovery and have gone for a more rounded and streamlined front on the new car. There are no details on what engine options will be made available in the new Discovery, the new Ingenium petrol engine will be up to 25 per cent more powerful than the engines they replace, and consume 15 per cent less fuel. In the current model, the only diesel available is a V6, which should be offered in the new model as well. Though unconfirmed, the new Discovery could hit European shores packing diesel that is currently being offered in the Range Rover Sport and Evoque as well as the Jaguar XE, XF and F-PACE. Discovery will take some of its design cues from the more compact Discovery Sport and the larger Range Rover Sport. It’s also expected to use the same lightweight aluminum platform as the Range Rover. In terms of “on-board tech”, the new Discovery is supposed to have “technology like no other.” What this means is of course unclear but some even speculate it might have something to do with JLR’s transparent bonnet system, first shown in the Discovery Vision concept.